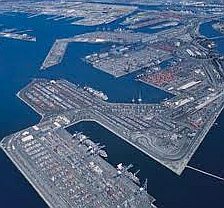 Concrete's value within the port environment is almost unlimited. And fresh innovations incorporating its use are appearing all the time, as David Foxwell discovers. 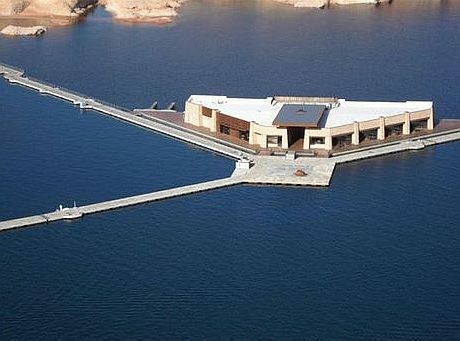 Concrete is used in a wide range of applications forming the main structural body of quays, either in the form of caissons, block-work or diaphragm wall structures. 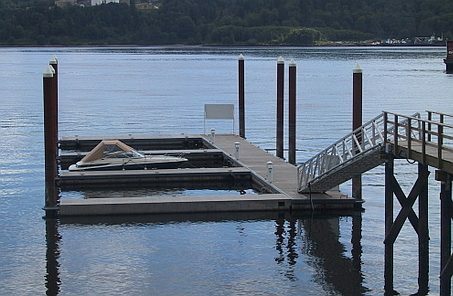 Even where other forms of construction are used to form the sub-structure, concrete is invariably used for the quay decks. 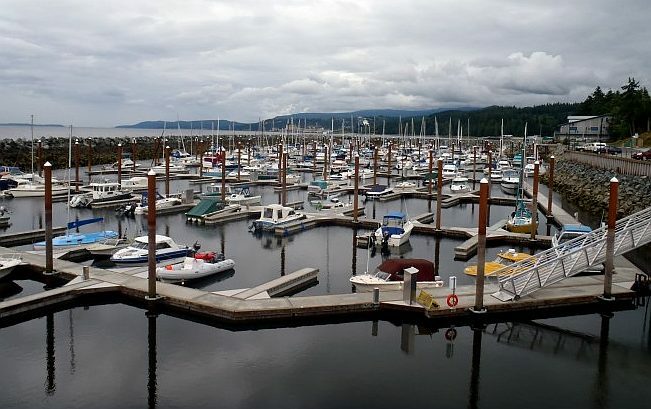 Since many ports do not have the benefit of naturally sheltered waters, concrete is used extensively in breakwaters to form the main body of the structure by caissons or block-work construction. Larger breakwaters are often formed of a rubble mound construction, using large quarried stones. 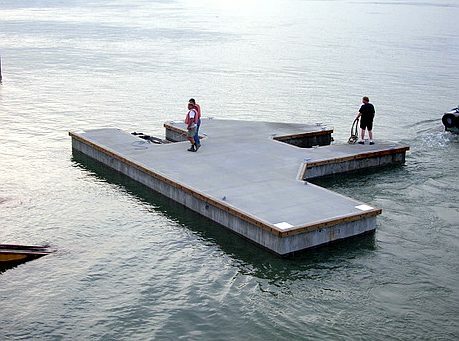 In such cases, randomly or regularly placed specialist pre-cast concrete units are often used to provide the primary armouring for these breakwaters, since large stones may be inadequate or inefficient in resisting the action of the sea. Concrete is also used in the crown walls for these structures. Concrete is used both in its reinforced and mass forms. In many situations, a large mass of material is required either to resist wave forces or to provide adequate foundations for substantial ship or crane loadings. 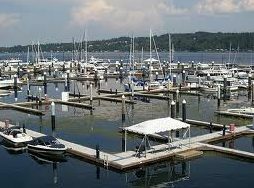 This has the additional advantage that the concrete is less vulnerable to corrosion of the reinforcing steel or to abrasive forces. Steel reinforcing is often essential and, where it is needed, care is required to ensure concrete of high quality and strength and low permeability is provided, with adequate cover for the reinforcing steel. Good guidance is available in the relevant design standards and guides to enable such concrete to be produced, including a focus on such issues as low water/cement ratio, use of cement blends with pulverized fuel ash (PFA) or slag and good quality aggregate. Care is also required to tailor the design of concrete mixtures to the local climate and exposure levels in order to prevent problems during the lifetime of the structure. 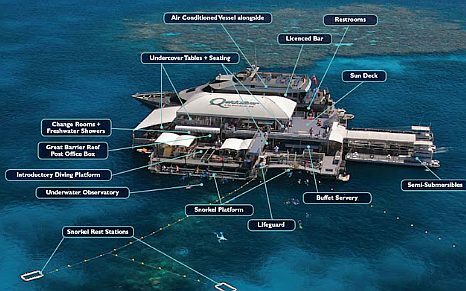 Concrete used in the inter-tidal and splash zones is known to be more vulnerable than concrete that remains permanently submerged or is only exposed to the atmosphere; and significant care is also required in detailing and joints to avoid these becoming points of weakness which the sea can expose. 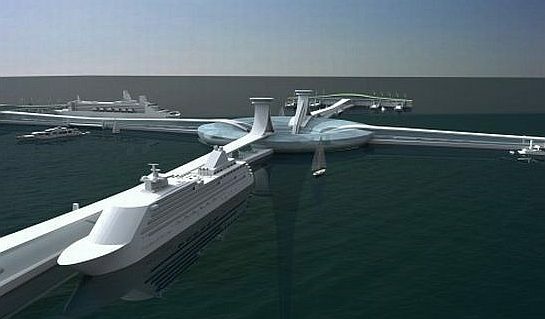 In all cases, notes The Concrete Centre, design of concrete structures for the marine environment should be undertaken by experienced engineers able to understand the severity of the interaction of the concrete structure with the process of the sea and, it points out, where failures do occur, it is usually because of poor structural design and underestimating the loadings a structure has to withstand. 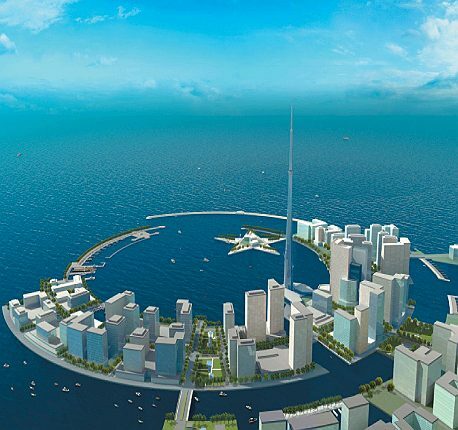 Construction should also be undertaken by experienced contractors, who understand the risks of coastal construction and can ensure the quality of the end product. Where localised failures do occur with time, repairs may be possible (see box), so long as the appropriate procedures and materials are used, which may include using specialist admixtures or specialist natural cements. CATERING FOR CUSTOMERS WITH CAISSONS AT DURBAN At Durban, large-scale concrete caissons are being used as part of a multi-faceted expansion project. A lengthy new quay wall is being built using 52 pre-cast caissons fabricated for the Grinaker-LTA Interbeton joint venture that is responsible for the work. A total of six caisson construction bays were built for the project, with Grinaker-LTA's specialist subsidiary Karrena Africa producing 3.5 caissons every week. 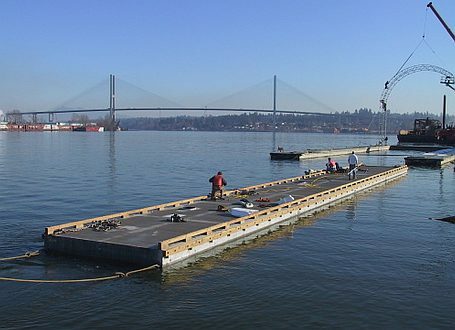 On completion, the caissons are 18 metres high and 17 metres wide and are jacked along skid beams before being lowered into the water where, floating, they are towed into position in order to be sunk to the seabed. 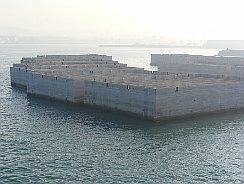 CONCRETE BLOCKS AT CARTAGENA One recent and notable example of the use of concrete block structures is the integrated hydraulic system being built at Cartagena in southern Spain where a major increase in capacity and several new jetties are required. 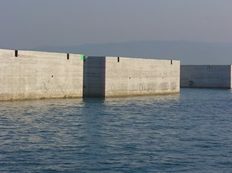 The jetties are being built using concrete blocks which are believed to be the largest of their kind ever built - some 70 x 35 x 35 metres. 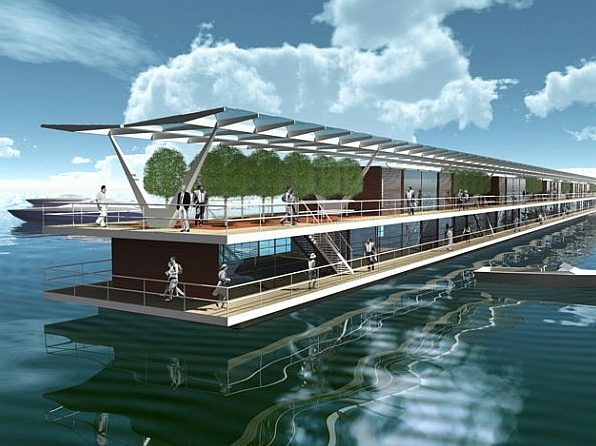 To build these 'super blocks' for the project, NECSO, the project's prime contractor, purpose-built a large catamaran style concrete block builder, KUGIRA, which is capable of building a super-size block every seven days. A concrete factory was built on one of the existing quays at the port to serve this enormous facility. 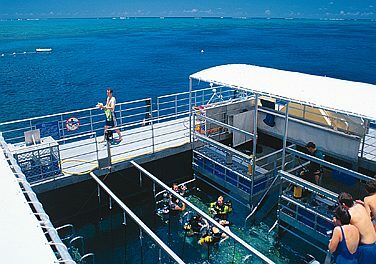 Once built, the huge units are towed into position and lowered onto the seabed. 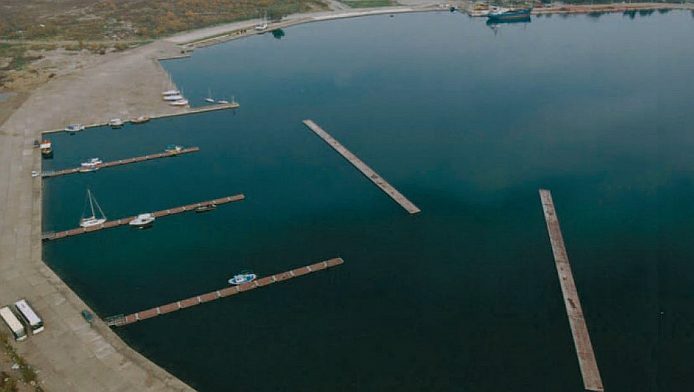 XBLOC CAN REPAIR ITSELF In The Netherlands, a new type of armoured unit for use in breakwaters has recently been developed by Delta Marine Consultants (DMC) which has been successfully used on a number of jobs to date. 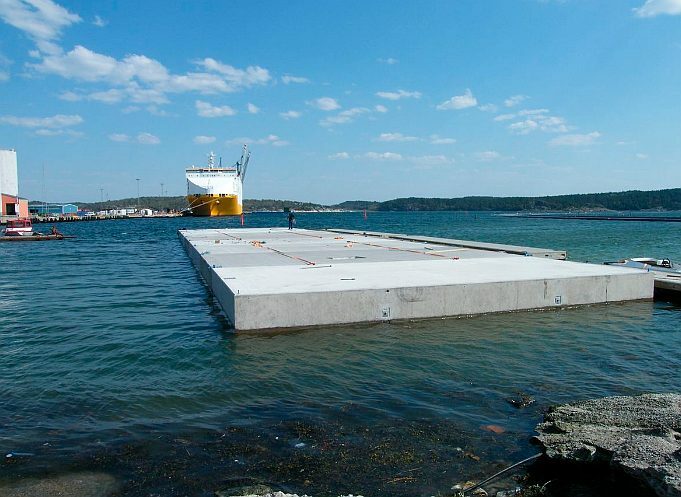 The innovative, interlocking armoured concrete unit is designed to protect breakwaters in extreme conditions. Known as the Xbloc, its developers say the unit is a simple, robust and reliable breakwater armoured unit with considerable structural integrity as an individual element, and considerable hydraulic stability in an armoured layer. Importantly, casting and positioning the Xbloc unit is straightforward. and a comparison of the Xbloc with existing armour units - such as the Accropode and Core-Loc - on actual projects. DMC says it believes that the average saving yielded by using Xbloc units can be as much as 15% compared to other single-layer armour units, the difference being due to high stability coefficient of the Xbloc and the low packing-density required, both of which result in a lower concrete demand. Xbloc armouring has also been tested extensively against wave loading in 2-D and 3-D models at Delft Hydraulics in the Netherlands and at a number of other hydraulic laboratories, and DMC says the results from the tests demonstrate that the Xbloc possesses excellent hydraulic stability. Another feature is 'automatic' interlocking - according to DMC, Xbloc units naturally find a stable position on a slope, and an armoured layer formed using Xblocs is also 'self-repairing, ' in as much that, after damage, automatic interlocking reinforces the structure. 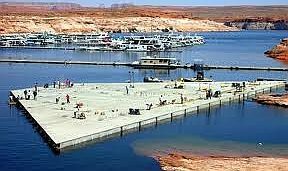 NEW COMPANY FORMED TO MARKET CORE-LOC One of the Xbloc's main competitors, the Core-Loc, which was originally developed by the US Army Corps of Engineers, is now the subject of a joint venture company between W L Baird and Associates in the US and Sogreah in France. The recently established joint company - known as Core-Loc International or CLI - is based in France, and has been granted a licence by the Corps of Engineers in a number of countries. 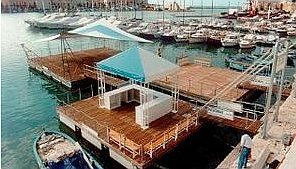 Core-Loc is an innovative single-layer concrete armouring system, which has been used at a number of ports including projects in Argentina, Barbados, Oman, the Ivory Coast and Italy. 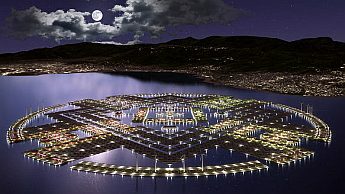 At Gela on the southwest coast of Sicily, the 1.2km caisson breakwater which was built in the 1960s using reinforced concrete has been protected with around 10,000 Core-Loc units built between 2001 and 2002, the ease of fabrication of the Core-Loc being demonstrated by the fact that the contractor was able to produce 35 3.9m3 units every day. Unless otherwise stated, all images copyright © Mercator Media 2012. This does not exclude the owner's assertion of copyright over the material. 4 Jun 2012 – Floating honeycomb and shell structures in concrete. ... 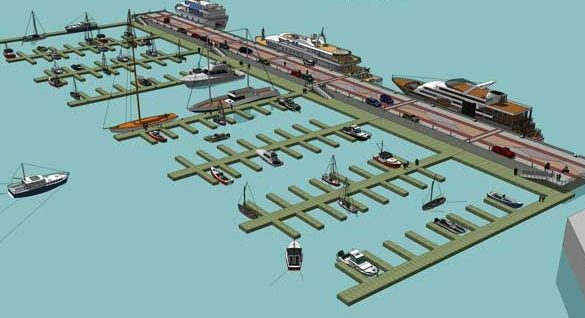 Port and Marina Development, Floating Docks, contact (info@tolimared.com) 9:53 . 18 Jul 2012 – ... honeycomb shell design development floating structure honeycomb shell ... small honeycomb floating concrete structures in cartagena .